To anyone who uses PixInsight, it is no secret that it can do all the stacking and calibrating of images - the pre-processing - by itself, with no help from outside software. DeepSkyStacker however, has been around for years and it has always done a fantastic job at pre-processing your images. In fact, using DeepSkyStacker is so straight forward that it has certainly been my favoured software for pre-processing in the past, before post-processing its end results in PixInsight. ​The above is simply as displayed in PixInsight, still in its linear state and auto-stretched. With its strong signal and generally dark areas as well, this was a good test-bed image for comparing DeepSkyStacker and PixInsight. It is very clear from the above that PixInsight's implementation of pre-processing is long-winded. Though there is a BatchPreprocessing script in PixInsight to aid in the pre-processing, I specifically wanted to tackle this manually, with the greater control afforded by it. Notice that I have not used darks anywhere. This is because my data was captured using a Sony ICX694 sensor, with its extremely low dark current noise. Once both pre-processed images were created, the next step was to make sure they both matched up well against one another. For this, I first aligned them to each other using StarAlignment and performed the same minor crop (to remove black bands found along the edges, due to the dithering I used during image capture) using DynamicCrop. The method to test how the images compared using numbers was to run the NoiseEvaluation script on each image (or matching image previews) and divide the mean pixel value on each image (or matching image previews) by the calculated noise pixel value. 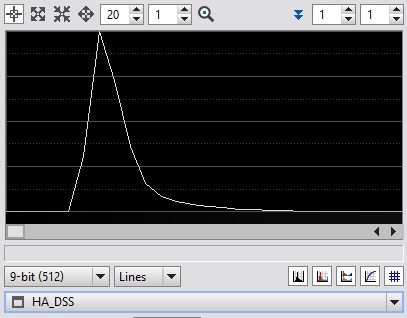 This would then provide a measure of Signal-to-Noise Ratio (SNR). The first histogram corresponds to the DeepSkyStacker pre-processed image (called HA_DSS) and the second histogram corresponds to the PixInsight pre-processed image (called HA_PI). Both histograms are of the images in their linear state, straight after pre-processing is finished. From the above, we note that PixInsight appears to place the black-point further forward. We cannot use this alone as a determination for stating that PixInsight is better for pre-processing, as many factors play a role in this effect. Most notably, my personal selection of cold pixel rejection and use of combination method when stacking the light frames. In order for our comparison of SNR to be valid, we would need both images to match in background brightness. To do this, I used LinearFit on the DeepSkyStacker image with the PixInsight image as reference. 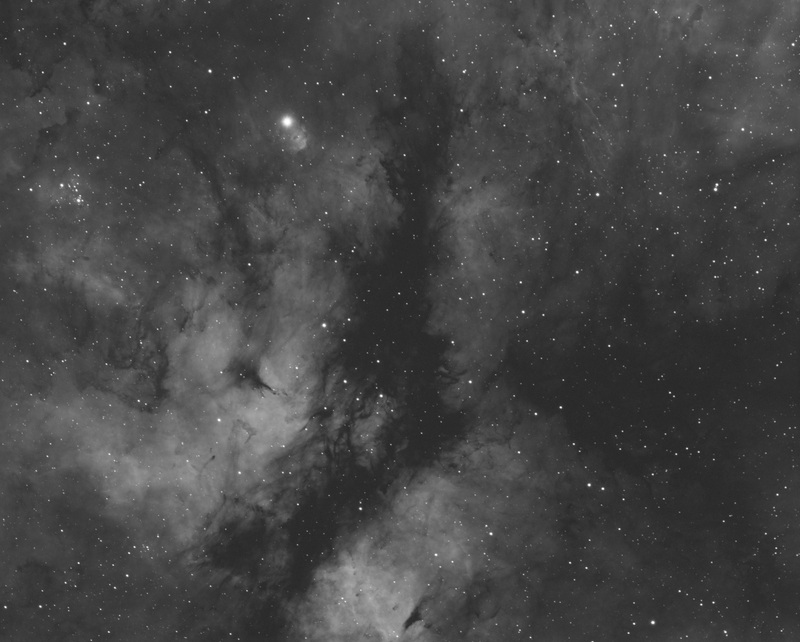 The images are now named HA_DSS_LF and HA_PI_LF to show that they have been put through LinearFit (in reality only the DeepSkyStacker image was altered by this process, as the PixInsight image was purely a reference image). We can see now that the histograms match up pretty well indeed. Now that both images are ready for analysis and comparison, I set up a number of preview boxes around different areas of interest in the images, making sure they are copied over to the other image so that they match perfectly. Both images are still in their linear states and are only displayed as above using PixInsight's auto-stretch function. The above-shown preview boxes encompass areas with deep detail and high contrast of bright and dark areas as well as areas with only mid-tones, mostly background and also a bright star and its halo (Sadr). The whole image was also used for comparison purposes, in addition to the areas bound by preview boxes. The above calculated results for SNR show a difference varying between 3% and 7%, mostly in favour of DeepSkyStacker except in Preview 2, the preview box encompassing the bright star Sadr and the surrounding halo and bright nebulosity. It is worth noting however that the error margin for these measurements of SNR and indeed for pre-processing results most probably hovers around this percentage discrepancy and indeed may be larger still. As a result, we cannot make an accurate determination of which is better purely from SNR considerations. ​The only discernible (just barely!) difference I can pick up by careful visual comparison is that the image pre-processed using PixInsight has a little bit more contrast on the very faint signal areas. The very faint nebulosity turns out a little bit more visible in the PixInsight image. It also appears to me that sharp changes in signal, common in bright star halos, are smoother in the PixInsight image. This could very well be due to a better drizzle algorithm employed by PixInsight as smaller stars seem to also display a smoother pixel transition to background. Some wish to use PixInsight simply because they already paid for it and feel they may as well use all its features instead of using DeepSkyStacker for pre-processing. That is fair enough as it is your money that was spent. However, ask yourself if you really want to go through the extra pre-processing steps. There are some benefits though, if you do. At the very least, you will learn a lot more about the science behind the stacking and calibrating process. You could also benefit from better pixel rejection algorithms when stacking a high number of exposures (say 20​ or more). The superbias you can produce in PixInsight is also fantastic. The image on the left is the stack of 200 bias frames. The image on the right is the superbias generated from this using PixInsight's Superbias process. I usually use as many as 200 bias frames but the superbias generated through PixInsight's Superbias process, based on my original 200 bias stack, is brilliant. 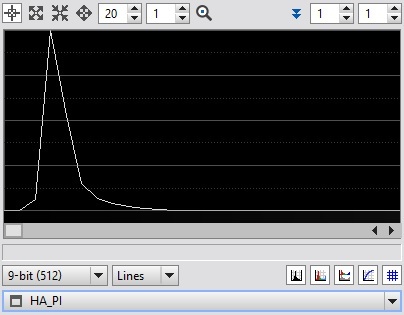 There is practically no noise left over - just a nice model of the sensor's readout. Perfect for getting that faint signal from the background to stand out more. Use of the superbias may have been mostly responsible for the better visibility of faint diffuse nebulosity along the background in the PixInsight image used in the comparison. The more bias frames you use, the better, of course, but Superbias can basically make a master bias look like it has come from thousands upon thousands of bias frames, as opposed to only 100 or so. For these advantages as well as the fact that PixInsight is much better supported by continuous updates (as opposed to DeepSkyStacker which appears stagnant), it is worth using PixInsight for your pre-processing if you already own it. If however you are on the fence regarding buying PixInsight, its price compared to DeepSkyStacker being 100% free may deter you. Buying PixInsight on account of pre-processing only may therefore not be the best idea and would be best done if it is going to be used for post-processing as well, at least on several steps along the way. Rest assured however that PixInsight's pre- and post-processing power is immense and certainly worth considering.